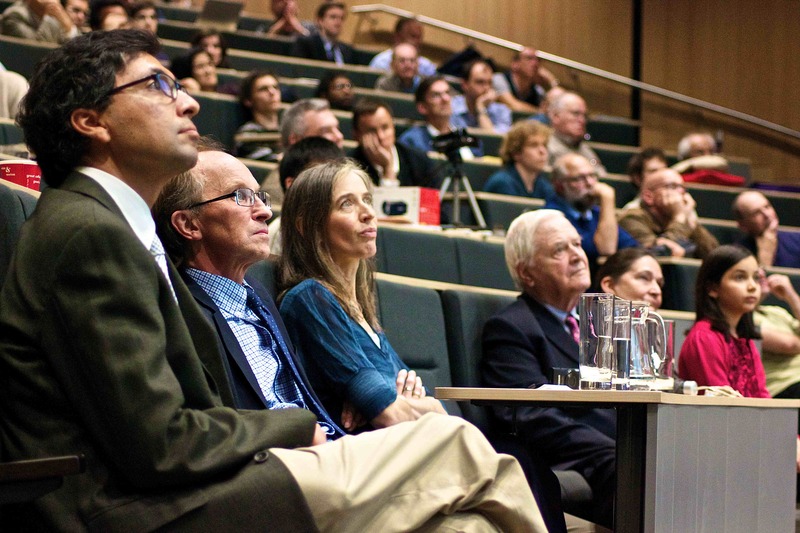 The administration of the CMI's scientific activities is conducted from its office in the Andrew Wiles Building at the University of Oxford. The photograph on the left shows the main lecture theater in the Andrew Wiles Building. It was taken during the 2013 Clay Research Conference, which immediately preceded the formal opening of the building. The photograph in the slideshow on the home page is an arial view of the Penrose tiling in front of the main entrance. The offices used by CMI are on the top floor on the right.